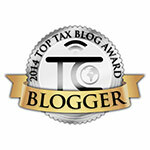 The Buzz About Taxes: Green Card Holders:Residency in Foreign Country & Treaty Benefits! Green Card Holders:Residency in Foreign Country & Treaty Benefits! Tracking Storm Linus on the weather websites, watching the storm blow around the white stuff all day long, snow piling up 16 inches and more on it's way, sneaking peeks at the Super Bowl while trying to write up this post- I realized how far we have come--long, long ways from being Green Card holders. The tax rules for a green card holder remain fairly the same as a US citizen or a long time US resident for most purposes. The complications come into play when the Green Card holder's living circumstances change. So, let's say you had to leave the US of A, to live in a foreign country and you can be considered a resident of that country for it's tax purposes. That would make you a dual-resident tax payer- a resident of both the U.S. and another country under each country's tax laws. In such a case, you need to examine if a tax treaty exists between the country you are living in and the U.S. The definition of residency under U.S. tax laws does not override tax treaty definitions of residency. This means that, if you are a dual-resident taxpayer, you can claim the benefits under an existing income tax treaty. In order for you to do that, the Income Tax Treaty between the 2 countries must contain a tie-breaker rule. What is a tie-breaker rule? A tie-breaker rule is a provision in the tax treaty that provides for a resolution if you have conflicting claims of residency. Now here is the catch (good or bad-depends on how you look at it), if you claim treaty benefits as a resident of that country, you are treated as a nonresident alien in figuring your U.S. income tax. Does this effect your residency time periods? No. For purposes other than figuring your income tax, you will still be treated as a U.S. resident. Now that you are a dual-resident taxpayer, and you claim treaty benefits as a resident of the country where you live, you must file Form 1040NR or Form 1040NR-EZ and compute your tax as a non-resident alien in the US. The form has to be filed by the due date (including extensions). You may also need to attach a fully completed Form 8833, if you receive payments or income items totaling more than $100,000. Form 8938 and other FATCA obligations may continue to apply to you. Do you need to file the FBAR forms? Read and find out here. You may also be subject to expatriation tax in some cases. More on that in my blog post here. This is a complicated scenario to be in and you need to make sure all your "t"s are crossed and "i"s dotted. Please be sure to consult with an Enrolled Agent or other tax professional before you file your taxes. So Whats The New Buzz On Foreign Bank Accounts?